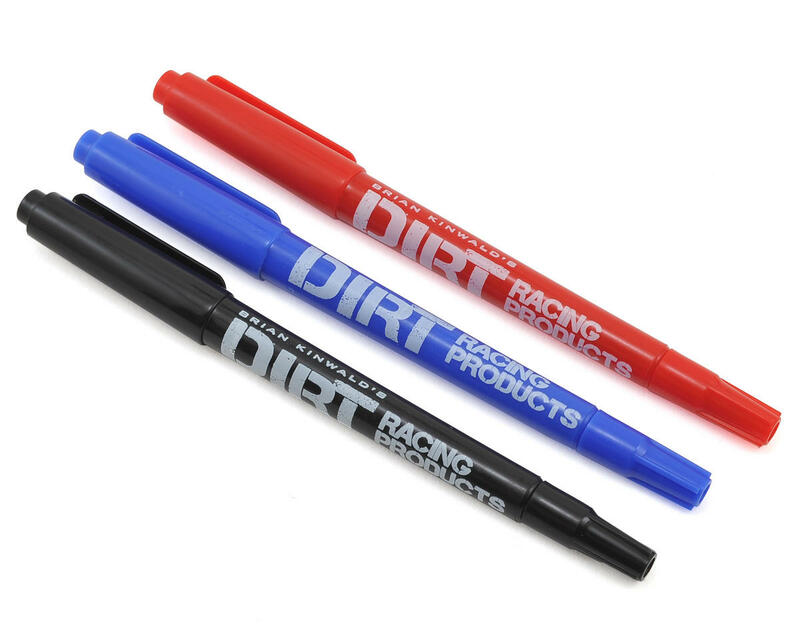 The Dirt Racing Products Dual Tip Permanent Pen Set is a handy item for any pit bag. 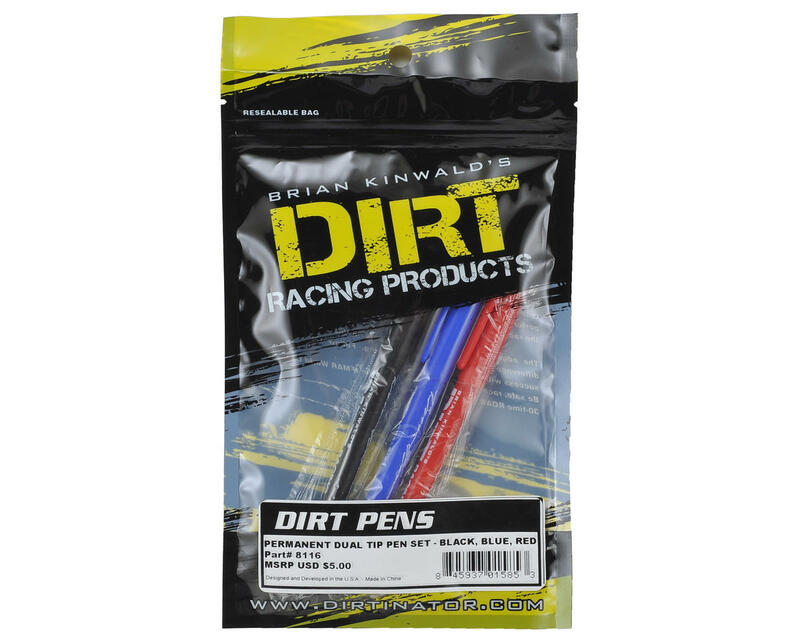 Used by Brian “Dirt” Kinwald and practically everyone in the industry throughout the years, permanent pens are the go-to writing instrument at the race track. Now, a pen option is now available in black, blue and red which carry the Legends name and autograph.